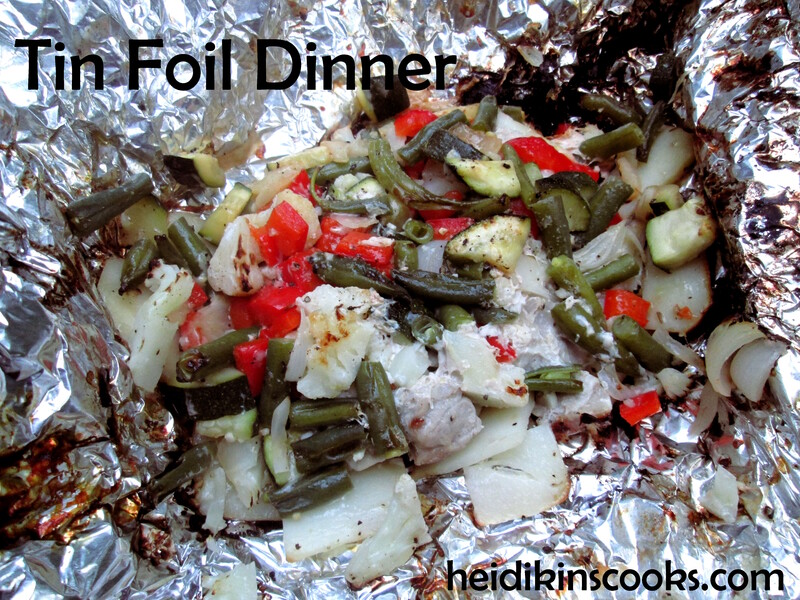 Do you know it is nearly impossible to take a good picture of a cooked tin foil dinner, and especially as your light is waning and the foil reflects everything in a weird way. This tasted MUCH better than it looks. Pinky swear. This is not your standard meat-and-potatoes dinner, I added a ton of veggies and they turned out absolutely divine. Now, some notes on cooking over an open fire. 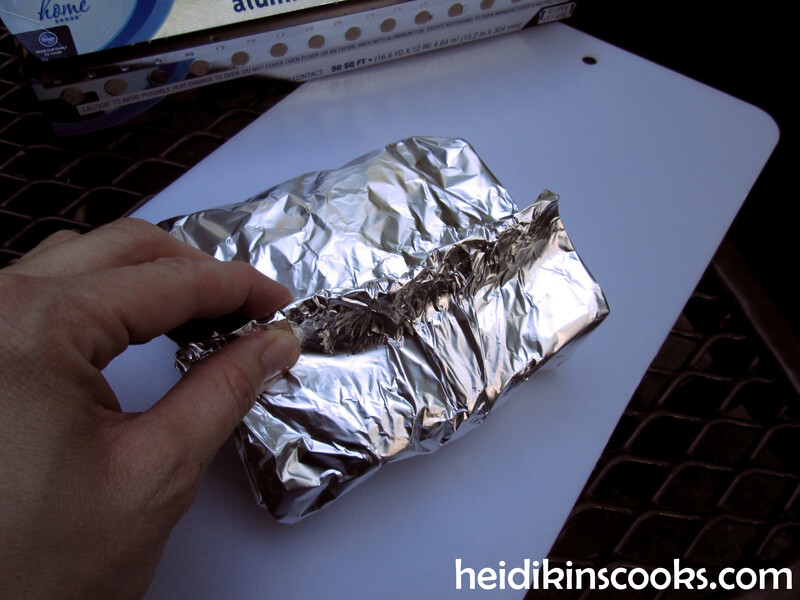 It is a little trickier and requires more patience than a microwave or stove-top. You need to prepare a good fire with dry wood and then let it burn for about 45 minutes so you have some white coals and the flames aren’t very high. This is all pretty loosey-goosey as I have never heard of anyone taking the temperature of a fire to see if it’s 375 degrees yet. I’m sure my pioneer ancestors were adept at that sort of thing, but it is an art that has not been passed down to me. So, I go by general feel and cook instead of baking. It’s better to pull your dinner off the fire a little early and check it than to have charred veggies because you left it too long (or you put it directly on flames). 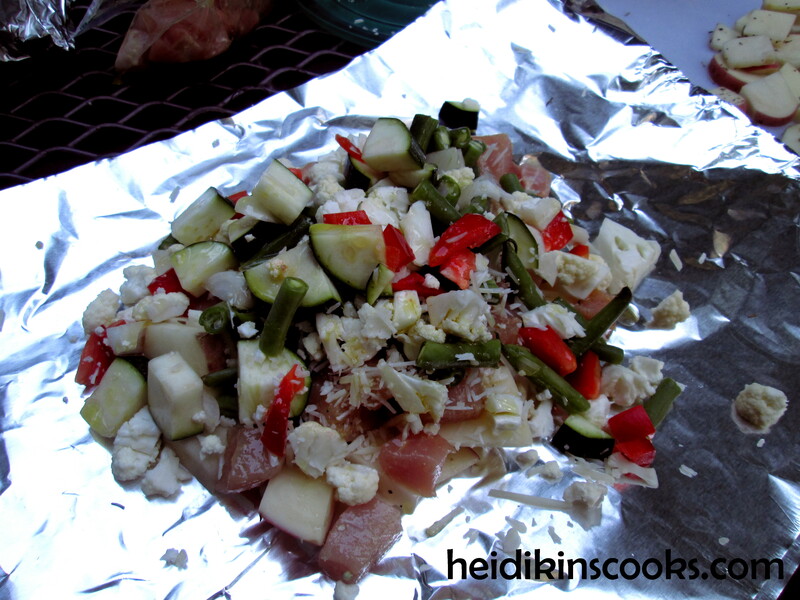 Roll those pieces together tightly down to the packet. 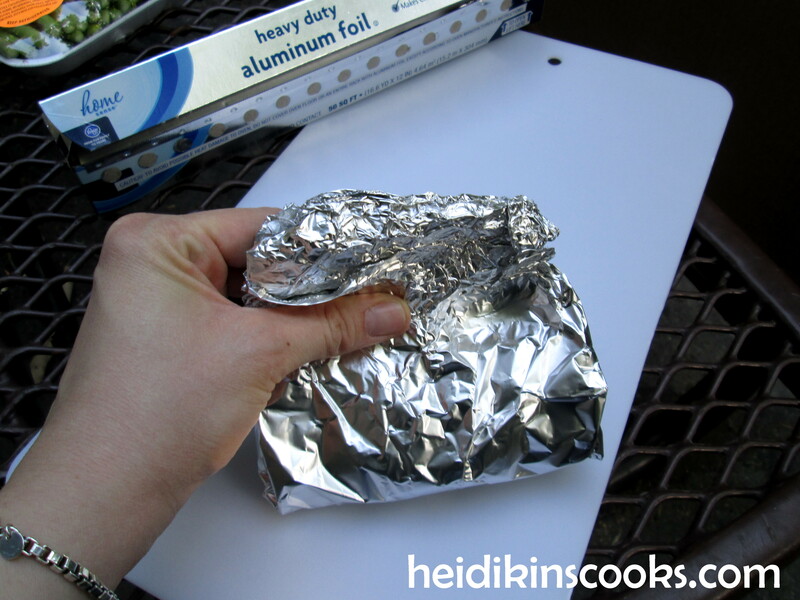 Repeat this whole process with another layer of foil. Then put your dinner on white-hot campfire coals (not flames), and let cook for 35-45 minutes, until your meat is done and your potatoes are soft. Add more salt and pepper if necessary, and enjoy! Cooking over a fire takes a while, it takes a while to start your fire and it takes some time before it’s ready to cook on. Make sure you bring extra wood (for s’mores) and at least 2 gallons of water for dousing your coals before you leave the campsite (if you have water at your campsite, then make sure to bring a gallon jug to get it from the river/faucet to your fire pit). Bring a pair of long fire-resistant tongs, and/or a pair of heavy-duty leather gloves for retrieving your dinner. A shovel for moving your coals around is much more precise than using a stick, but a big stick will work just fine. 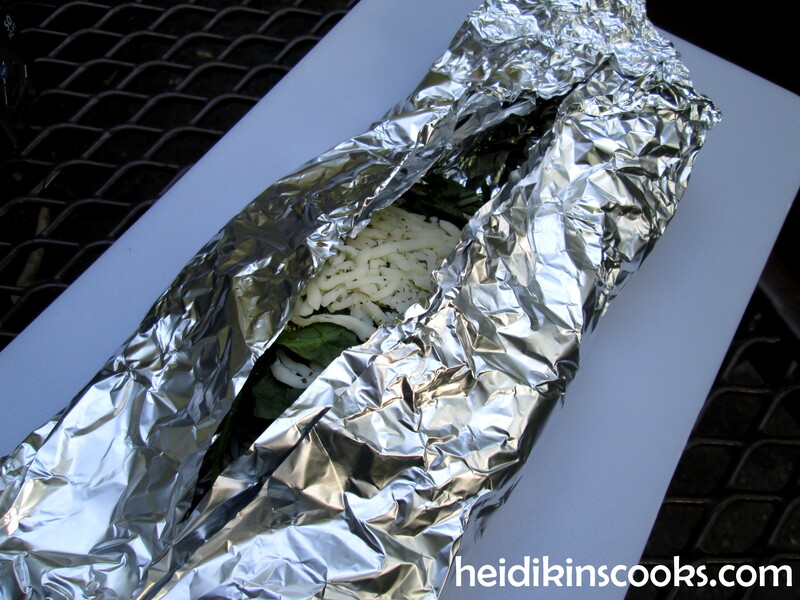 You can always pull your dinner out to check it, re-wrap, and pop it back in if it’s not done yet, but you will lose some of the steam and the tight foil seal by doing so.